Listen as Liv shares her experience of mediating conflict between two groups: using NVC to ascertain the needs of both sides, raise awareness, and diminish polarization. Ask the Trainer: "In trainings I say our jackals are thoughts and now I've come to wonder if all thoughts are jackals...?" Ask the Trainer: "I recently attended an NVC workshop where the focus was entirely upon empathy, and expressing honestly was not covered. Aren't empathy and honesty both vital NVC components?" 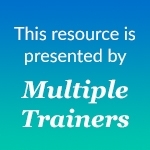 Ask the Trainer: "Could you explore why people 'talk too much' and how I could connect with them and myself empathically when I'm also talking too much?" Ask the Trainer: An NVC Academy member from Bosnia asks: "Is the NVC process truly effective in places where so much violence has occurred and people's pain is very deep?" 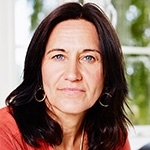 In this compelling interview with Liv Larsson, CNVC Certified Trainer from Sweden, the NVC concept of enemy images — how they develop, what they represent and how they affect our relationships with others and self — is explored.